The unprecedented duration of the most recent government shutdown has implications for our nation’s natural resources. 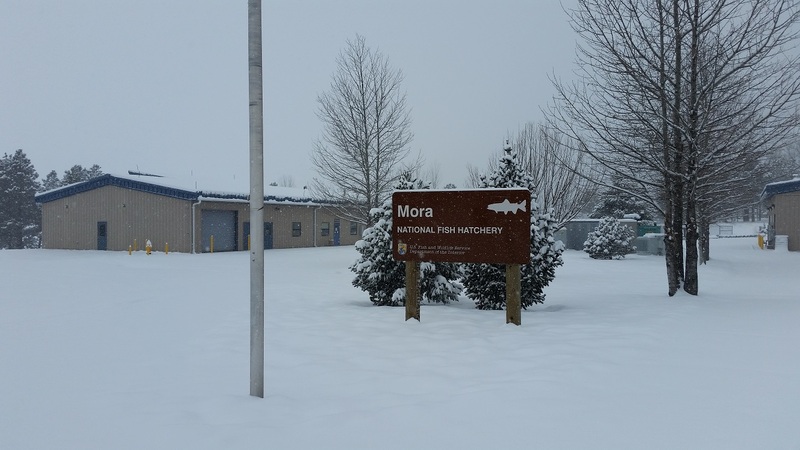 During the fourth week of the shutdown, I checked in with Nathan Wiese, the Project Manager for the Mora National Fish Hatchery (NFH) in Mora, New Mexico to learn about its impacts on our fisheries. 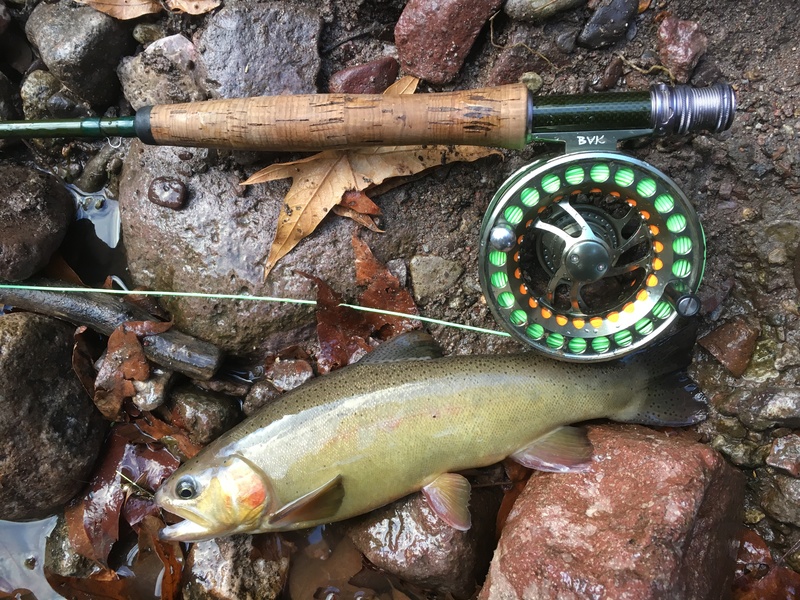 Nathan and his staff are tasked with the recovery of Gila trout (Oncorhynchus gilae), a critically threatened trout native to the southwestern US (Figure 1). 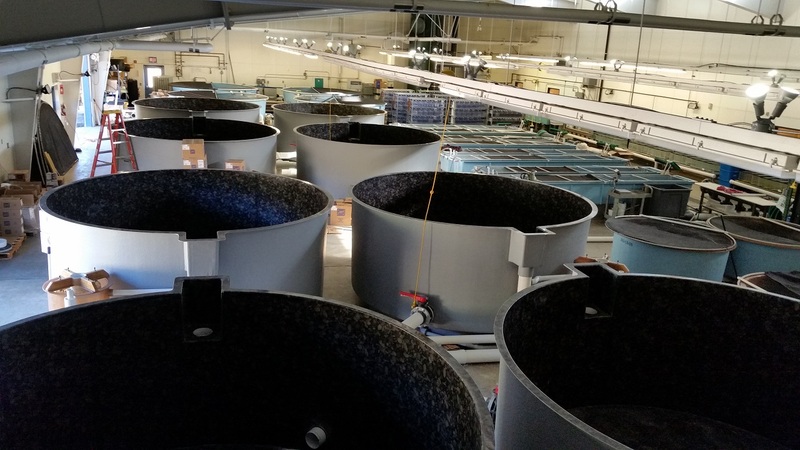 The hatchery manages approximately 50,000 fish, including Gila trout broodstock (mature fish used for breeding), wild origin Gila trout, and Bonytail Chub (Gila elegans). During the shutdown, Nathan was the only staff member authorized to protect “Government Property” (i.e. the fish), and worked alone, without pay, to keep them alive. The six full-time staff were on unpaid furlough status, and not permitted to work. Figure 1. Gila Trout of Mora NFH origin, captured in Whitewater Creek, NM. (Credit: N. Wiese). Lauren: How have typical daily hatchery operations changed over the last few weeks? Figure 2. A cold snap hits Mora NFH during the most recent government shutdown (Credit: N. Wiese). Lauren: How are the fish? Has the shutdown thrown the hatchery into ‘survival’ mode? Lauren: Are there long-term impacts that this shutdown could have on the hatchery and Gila Trout? Nathan: “We were in the middle of a major construction project installing 12-foot dual-drain circular tanks in one of our main re-use systems (Figure 3). That project is at 100% stop. If we can’t get back on it, we’ll have to cut the number of Gila trout we support at Mora NFH in 2019. Figure 3. Major construction project at a standstill (Credit: N. Wiese). Lauren: Any news from other hatcheries? Does the Fish and Wildlife Service create contingency plans for these scenarios? Nathan: “Hatchery staff tend to be go-getters. Morale is low, but our staff is making sure that the fish are being taken care of across the National Fish Hatchery system. It’s really a testament to the people that work in this profession; they mostly do it because they love it. Unfortunately, I’ve been through a couple of shutdowns in my 14-year career. I think each administration provides new guidelines to the Departments for handling them, so it can be difficult to plan contingencies. That said, we’ll certainly be documenting what’s working and not so that we can be better prepared for the future. When you hear the words “Shutdown” and “Record-Breaking” together, it is never good for planning. Lauren: Hatcheries frequently collaborate with state agencies. Can the state help out at all in these situations? Nathan: “We have some exceptional state and volunteer partners. They’ve been keeping tabs on how we are doing. 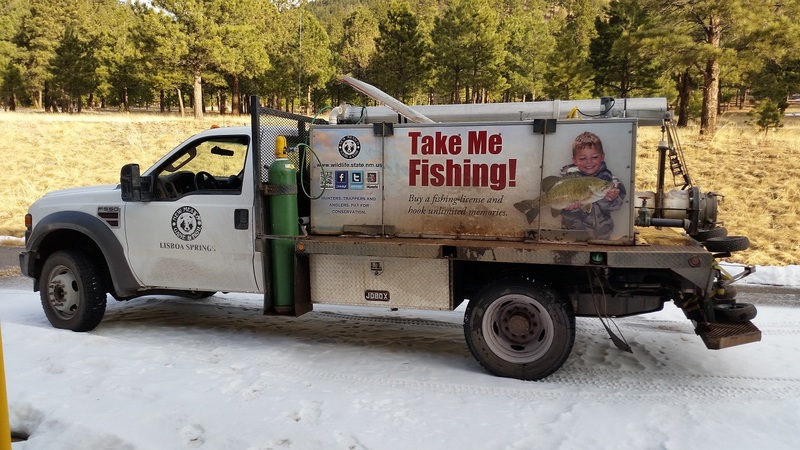 Just this morning, the New Mexico Department of Game and Fish loaded surplus Gila trout broodstock for supplemental stocking to lighten our fish load onsite (Figure 4). It’s awesome to see that support when we need it. Figure 4. A fish transportation vehicle from New Mexico Game and Fish relieves Mora NFH of some broodstock during the shutdown (Credit: N. Wiese). Lauren: How are you, your co-workers, and families holding up under the stress? The American Fisheries Society has urged Congress and the White House to work in a bipartisan manner to end the partial government shutdown and allow natural resource agencies that support important fisheries research and management to resume operations. Read more about how government shutdowns impact the fisheries community HERE . Previous story Just because there’s no water doesn’t mean it’s not fish habitat! Temporary streams provide spawning habitat for river fishes.